York bike rescue project do up old bikes and sell them on. 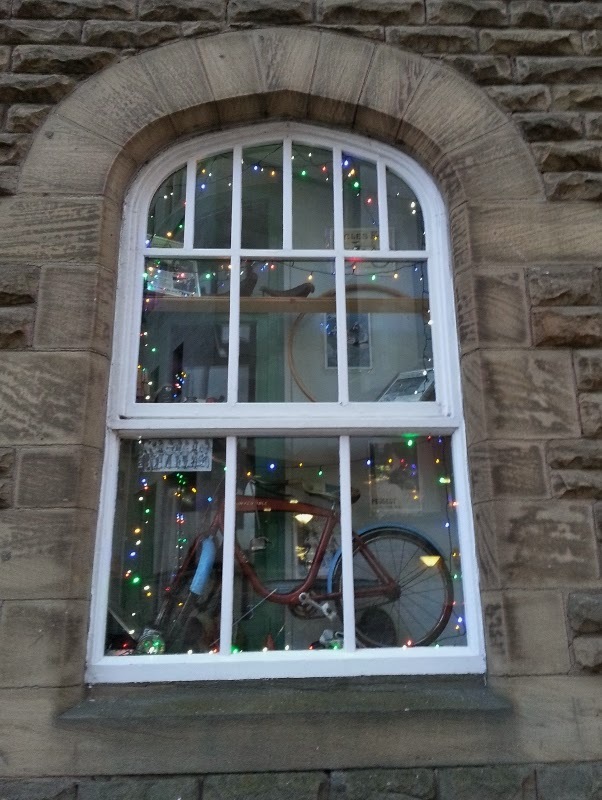 This is their showroom window, as well as refurbished bikes they service and repair bikes and sell cycle accessories. They also really like pink as you will see if you click on the link! I have a real love 'year round' lights like those in the window. Looks cheerful and inviting. Love the idea of this restoration shop too. (Hope those lights you showed us on Sunday are out now :)). A lovely window, and I really like the stonework around it.